Shot in the back. Israeli military murders uniformed female nurse serving wounded. Those Israeli bastards murdered a uniformed female nurse tending to wounded. She was clearly visible & hands up & obviously unarmed. 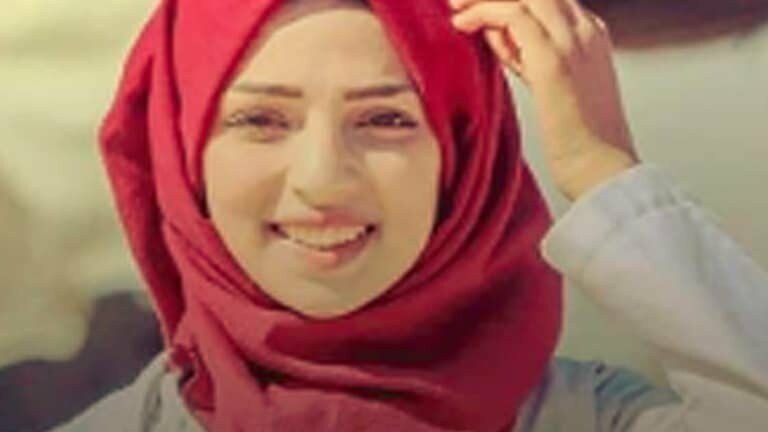 And an Israeli fascist sniper took careful aim, and shot 21-year-old Razan al-Najjar through the chest, from the back. The Nazi snipers of Warsaw & Leningrad had more humanity than the Israeli snipers of Gaza. That’s some godawful company there, Tel Aviv. The Israeli military is nothing but lowlife human rights-abusing civilian-murdering detestable scum on the level of Syria, Colombia, Sri Lanka, Honduras, Egypt, and Saudi Arabia armed forces. Not really a military as much as a civilian terror organization. State-supported death squads and torture units. Absolutely contemptible with no positive attributes. Lowlife murdering soulless human scum. Only a low-rent no-pride military has the cruelty to sniper a clearly identified female nurse through the back. Of course, our blind American support of apartheid Israel now has us in bed with war criminals who murder these innocent women and children and seniors in the practice of ethnic cleansing. The so-called state of Israel has become a sadistic monster capable of any war crime. It must be heavily sanctioned and isolated. The Palestinian people need international protection.